Why Are The Current Interest Rates So Low? Looking at bank account interest rates today, you might be surprised that interest rates are currently very low. Why is this? 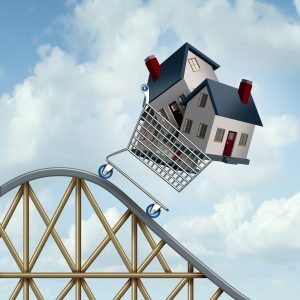 This article will discuss—in a relatively simple way—some of the reasons why interest rates are currently so low in our economy. To gain and keep customers, banks must offer some level of return on savings accounts. Generally, banks have the ability to offer whatever level interest rate they want. Some banks may offer special higher interest at any given time to attract customers. Banks must be able to lend money to customers. To be able to do this, they must have deposits and capital to cover the amounts lent. Banks then make profit from the interest they charge on those loans over and above their interest cost for the deposit accounts. So, the amount of interest that a bank can offer to customers on their savings accounts reflects the interest amount the bank charges customers that take out loans (mortgages, for example). Outside of the bank itself, there are larger economic factors that affect current interest rates. Banks receive loans from the Federal Government through the Federal Reserve, and the Federal Reserve has the ability to set the interest for those loans. The Federal Reserve also sets the interest rates for the loaning of money between banks. 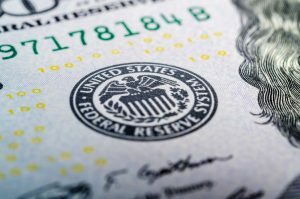 When the economic growth slows, the Federal Reserve encourages lending between banks and borrowing from the government by lowering these two interest rates. When it’s easier for banks to borrow money from each other and the Federal Government, banks are able to offer lower interest rates on business loans and mortgages. By doing this, the Fed stimulates the economy, and positive growth returns! When the economy is booming, the Fed may raise the interest rates to slow down the economy to prevent inflation from growing too fast. Since the Great Recession of 2008, the Federal Reserve has cut interest rates for lending to almost zero, making it easier for businesses to borrow to get off the ground and gain profit. Consequently the rates paid by bank for deposit accounts for their customers are also much lower. The low interest rates are reflected in the lower rates banks are able to offer for business loans and individual mortgages.